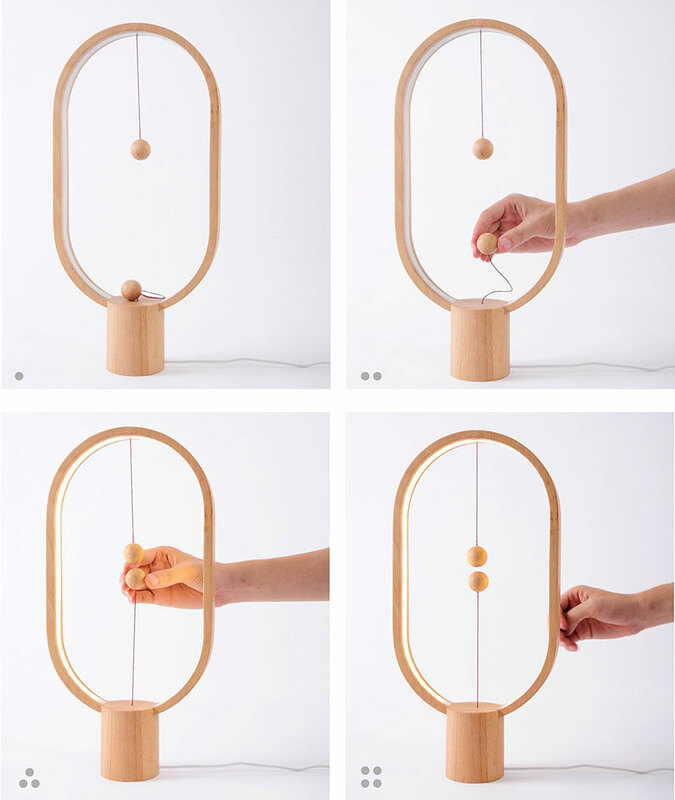 Heng is a series of lamps by Guangdong-based designer Zanwen Li that breaks the traditional way to turn on lamps by aligning two orbs suspended by strings inside the wooden frames. The orbs are magnetically attracted to each other so raising the lower orb until it reaches a balance with the upper orb turns on the lamp's lights. The device sort of resembles a Dyson bladeless fan in terms of form with a clever way of interaction added. 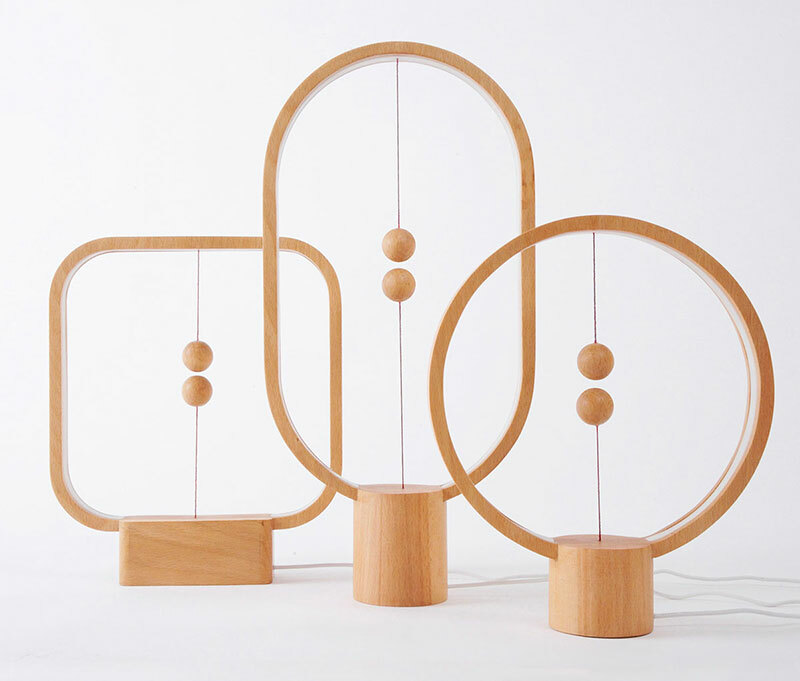 Heng is a series of lamps by Guangdong-based designer Zanwen Li that breaks the traditional way to turn on lamps by aligning two orbs suspended by strings inside the wooden frames.